Timeless designs are perfect for elegant affairs, both grand and intimate as they are flexible and feature ageless embellishments. 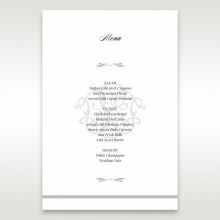 Available only in an exquisitely all white card, this creation is simply perfect for modern couples who seek clean designs with a hint of elegance without having to be elaborate in embellishments and print. 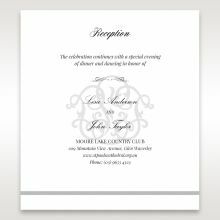 A sophisticated appeal continuously flows inside the card while an emblem is embossed on the card cover fold where the other section of the card snugly fits inside to keep your wedding announcement safe. To enhance this overall design, have a personalised monogram printed at the top of your wording. It took a while to receive the sample invite in the post. 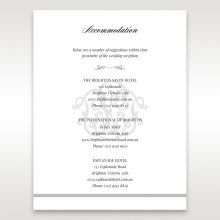 We rang to check where it was and Giant Invitations resent the sample via courier. 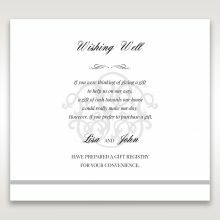 When we received it we were delighted with the quality of the card. The packaging was lovely and made us excited for the big day.Looking forward to ordering the invites as we know what to expect. The attention to detail in the invite is great, the font is lovely. 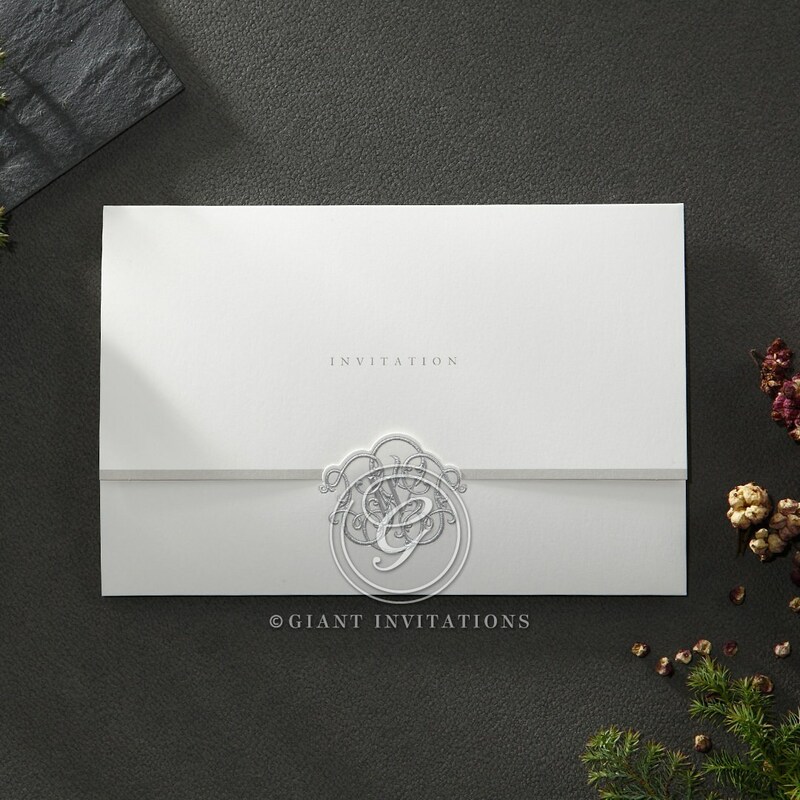 A friend told me about Giant Invitations after she ordered her invitations for her wedding just last year. I checked it out and me and my fiancé instantly chose this one as we were looking for something simple and well presented. We only ordered the sample to this one as we knew we loved it already. It didn't take long for the creative team to get everything to how we wanted it to look on the invitation. When they arrived it was perfect, from the quality of the paper to how the font felt. The cross we had on the top was more than what we expected. Thank you so much to everyone at Giant Invitations that helped us make our wedding a bit easier. 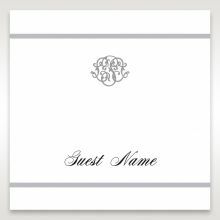 This was the first invitation I fell in love with when I started looking at wedding invitations. My fiance and I eventually ordered five samples, including this one, and without knowing this was my favourite he also selected the same one. It was an easy decision! 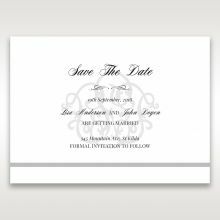 This invitation will be perfect for our wedding, we love the traditional, classic style of the invitation and seal. 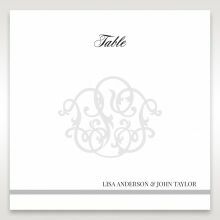 The paper is a beautiful, high quality, and the thermographic lettering adds the finishing touch to this elegant, classic style. 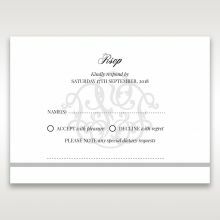 We will also be ordering RSVP and wishing well cards to match and cannot wait to receive the finished product! 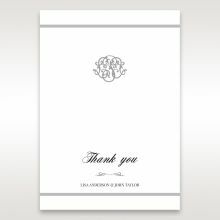 I ordered this design along with 10 other samples and immediately picked this as we were looking for something simple yet elegant. The font and paper felt prestige, elegant yet not over the top. It took us many months to finally agree on this design.Very happy with this design and material and so glad i ordered the sample first to see and feel it in my hands. would recommend this for anyone who is after simple elegance. 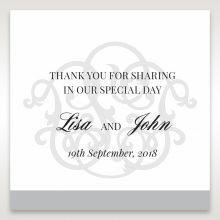 My fiance and I ordered this invite as one of the five of sample invites. It is beautifully presented and my fiance and I have decided this is our favorite one of the five samples! They are simple, elegant and will fit any wedding theme. The quality looks and feels great and is second to none and at an affordable price.We are very much looking forward to personalizing them and seeing the finished product.